The LN educational and training systems are available for the VMBO, MBO, HBO and TU educations. The Lucas-Nülle modular and open systems are build with the future in mind. This makes it possible to train very specific tasks. Changing or expanding trainers makes it possible to make different training tasks. An essential part is the professional literature supplied with all the training systems. The manuals are written by experts. Unitrain is a powerful experimenter and training platform for the technical education on the MBO and HBO level. Unitrain combines theory and practical in an efficient and effective learning system, with a wide range of multimedia. The available time for learning will be is shorter. The budgets are getting smaller. The contact time between teachers and students is getting shorter. A wide range of courses is available. The courses are from simple to very complex. All courses are available in English and several other languages. The basic ones are also available in Dutch. 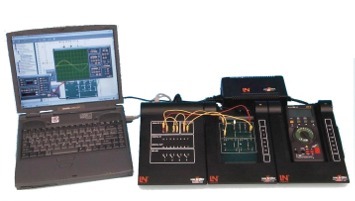 The Unitrain system has courses in many technical fields.